A top Iranian trade official has confirmed that the United States has already taken measures for the establishment of the US-Iran Joint Chamber of Commerce, saying a reciprocal move will start in Tehran once the Chamber is officially launched in Washington. Mohsen Jalalpour, the president of Iran Chamber of Commerce, has told the local media that the Iran-US Chamber of Commerce could be established in Iran within two months. Jalalpour added that the preliminaries for this could be prepared during President Hassan Rouhani's anticipated visit to New York for a UN General Assembly meeting in September. "Based on Iran's laws, the Iran-US Joint Chamber of Commerce can be established within two months after the creation of a peer institution in the US," the official said. "This requires no authorization from the Iranian government because we did not initiate this. An authorization from the government would have been required if we had initiated it". 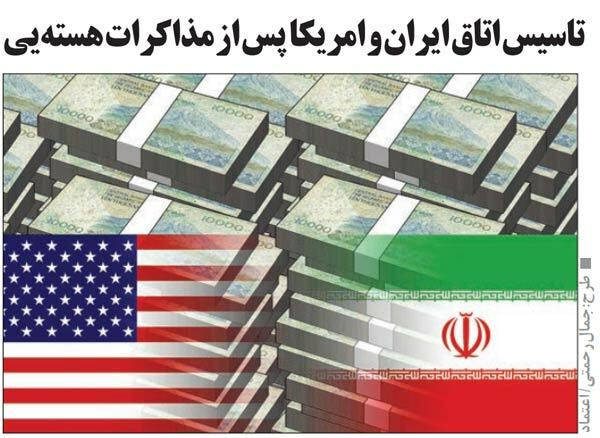 On a related front, Alireza Nateqi, the head of a key economic headquarters at Iran's Interior Ministry, has said that the Iran-US Trading House has been created in the UAE. Nateqi has told the media that the House is presently focused on attracting investments of Iranian expatriates living in the US for joint investments in Iran.